Bought new, 2006 21' Bowrider plus a 2 and a half foot swim platform total 23 and feet long , dry storage , AM-FM CD radio, rear control for radio when your in the water .5.0L fuel injected 270hp Volvo-Penta. 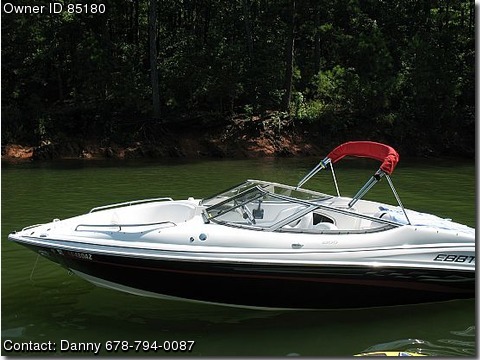 One of the nicest boats in the water and on the trailer, washed everytime it comes out of the water , 2 batteries 105 low hrs.on engine , all service done at Ebbtide dealer in Lanier..to much to mention. One price only!! ..Buy ,before I change my mind.. 678-794-0087 MUST SELL !!! Best Price for a great boat.